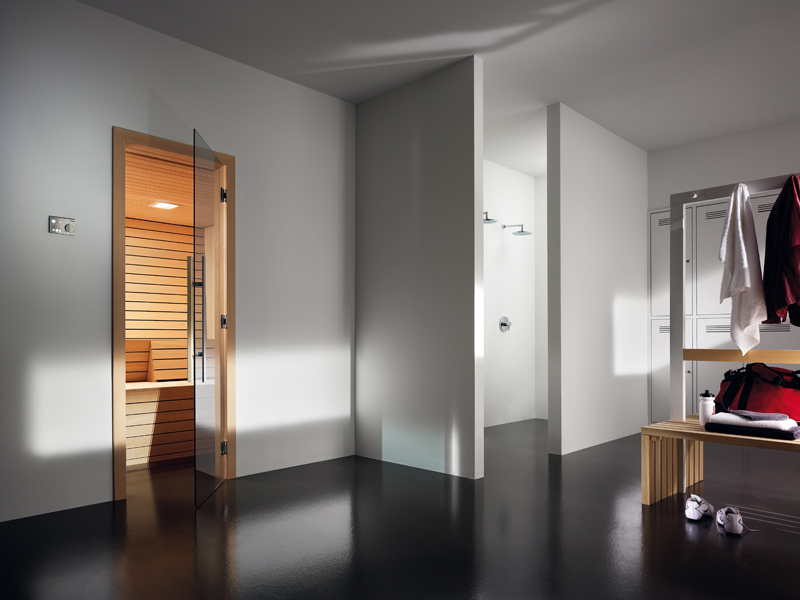 Gym Is a line conceived and designed by Effegibi in partnership with Talocci Design to meet the needs of a sauna intended for public use. High quality materials and tough wooden sections blended in a harmonious design context make Gym saunas robust and practical. The sauna is mounted on an aluminium base frame to keep the wood out of contact with the flooring, making it easier to clean inside and avoiding the sort of problems usually associated with heavy public use. The benches and coverings have a simple, functional mechanical system that makes them easy to remove for thorough but speedy daily cleaning. The wide door supported on strong hinges lets a number of people in and out of the sauna quite comfortably. Quality, strength, convenience and good looks all combined in a single product. 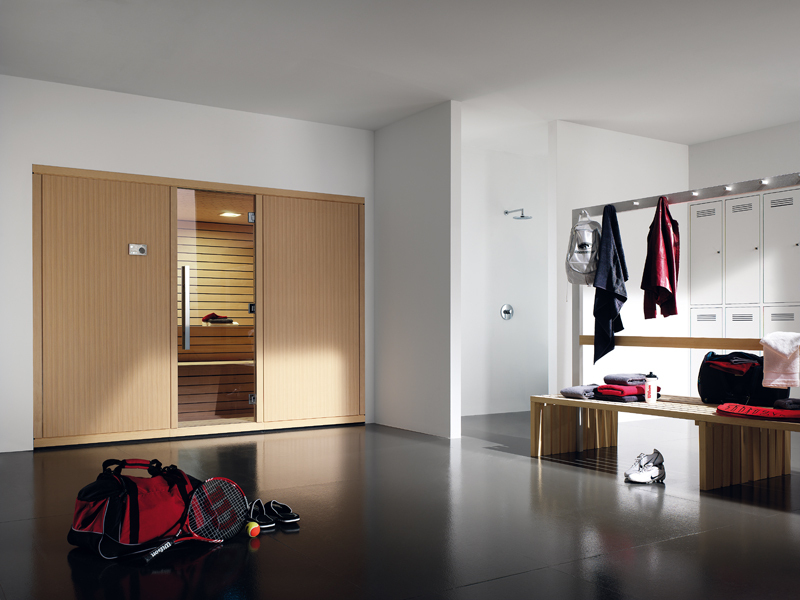 Gym can be made to measure to fit any environment, included the larger spaces needed for public use.